What time is it? It’s time for another scarf hack, of course! 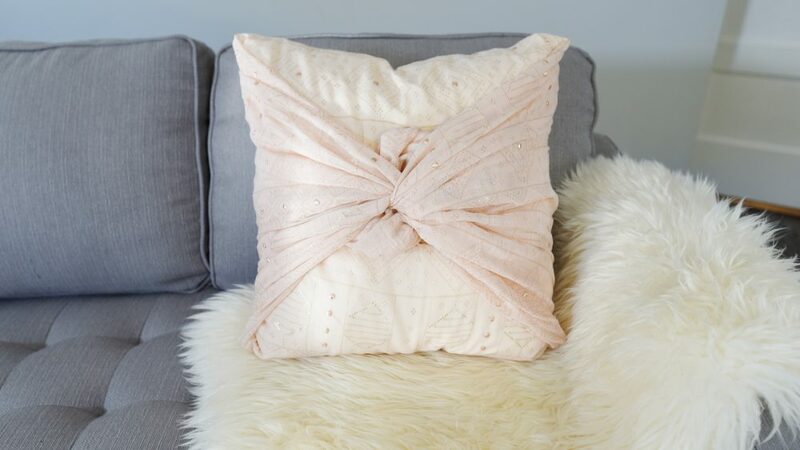 Let me show you how to easily make a feminine, glam pillow from a scarf. All you need is a large scarf, 3 safety pins, and a pillow insert. First, lay a large scarf right-side down. Place a pillow form in the center of your scarf. Then, fold two sides of the scarf up and over your pillow form and pin them in place with safety pins. Finally, draw the two remaining sides of the scarf up over the pillow form, and tie them together. You can leave the ends free, or tuck them into the scarf. Easy-peasy! Stay tuned to my YouTube channel and The Brick’s Facebook page every Tuesday for more simple home decor & DIY tips!